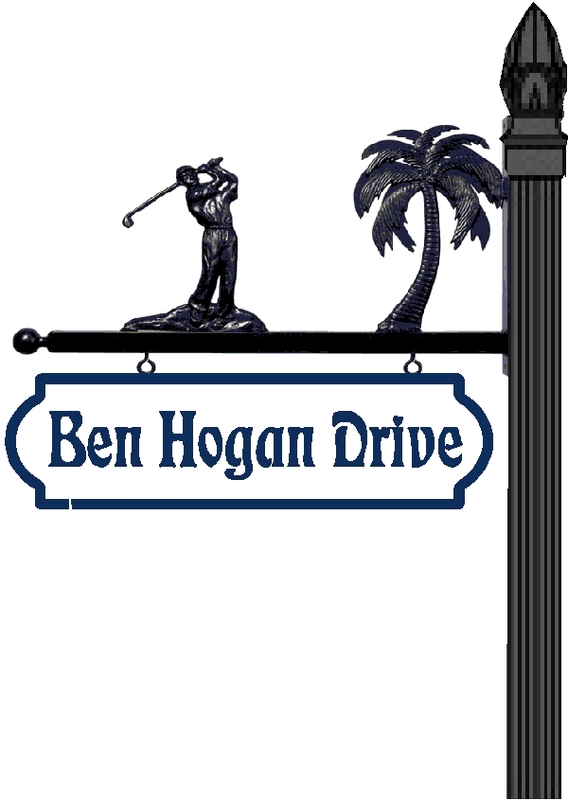 For the golfing community we offer this HDU Double-faced sandblasted sign with decorative scroll bracket DSB-4.The sign is sandblasted HDU; the post is a 3 in diameter round fluted post with acorn finial. Our street and traffic signs can be mounted under the scroll bracket, as shown here. This handsome upscale street sign and aluminum post has a hanging bracket, ornamental base and finial on top of the post. The green color is used for all components.